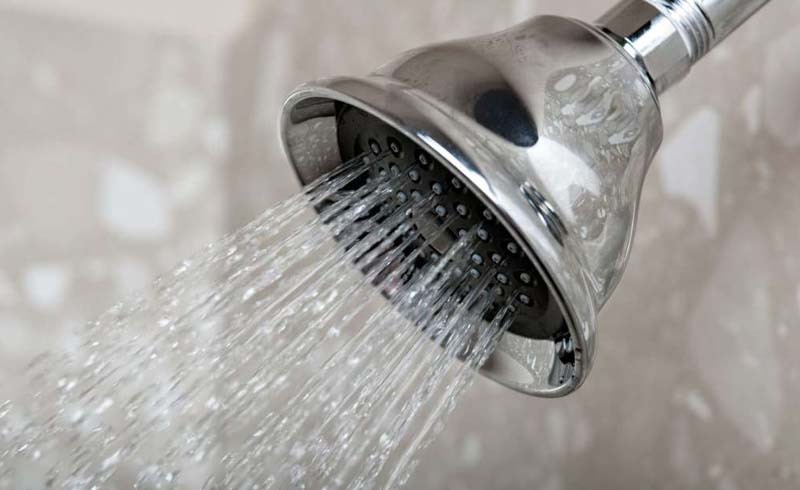 If the water from your showerhead is shooting out in all directions, or your flow has become almost nonexistent, the holes in your showerhead are probably clogged with minerals. Not to worry: Carolyn Forte, director of the Good Housekeeping Institute Cleaning Lab, has a remedy for this situation. 1. Wipe as much of the dry debris from the holes as you can with a scrubber sponge. 2. Still not spraying straight? Mix a solution of equal parts white vinegar and water (you'll need about 1 cup), and pour it into a plastic bag. 3. Put the plastic bag around the showerhead so the holes are immersed in the liquid, and secure the bag to the shaft with a twist tie. 4. Allow it to soak at least 15 to 20 minutes (up to an hour if you can). 5. Remove the bag and wipe away loosened deposits. Run the shower on hot to flush and you're all set. 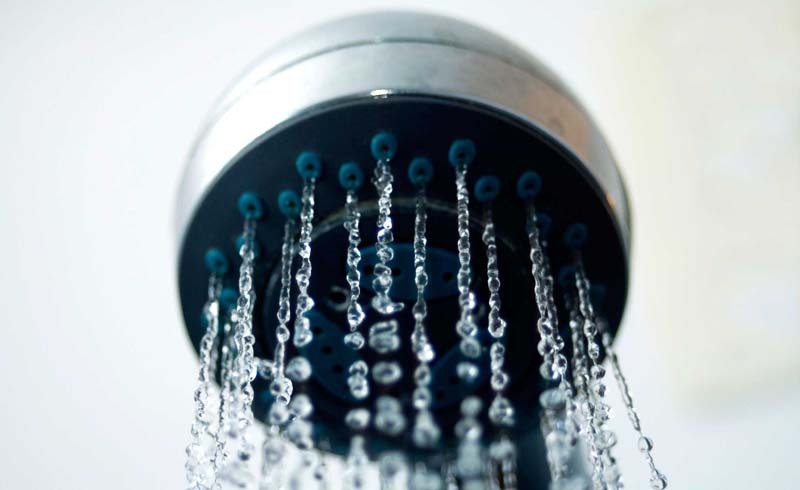 Now that your showerhead is flowing freely, make sure the rest of your bathing experience keeps up. Here's how to clean all of the other tricky places in your shower. Start by opening a window or door to ventilate the room, then grab your favorite tub-and-tile spray cleaner, like CLR Fresh Scent Bath and Kitchen Cleaner. "Work on the shower in three vertical sections — this will cut down on fumes and prevent the cleaner from drying before you wipe it," says Forte. Spray the first section, covering both tile and tub, and give it a few minutes to penetrate. Then spray the second section, and let it soak while you clean the first. With a wet scrubber sponge, wipe down the first area, using wide strokes to cover the most surface in the least amount of time, then rinse the sponge. Fill a cup with water and rinse the cleaned area. When the first section is done, spray the third section, then wipe and rinse the second, followed by the third. For any remaining grout stains, mix up one part bleach and two parts water in a spray bottle. Let it soak in for a few minutes. Turn on the shower for a minute so it can self-rinse, and give any outside-of-the-stream spots a quick splash with your cup. Use your trusty plunger to clear the blockages in your drains and pipes. Yes, you can use this on your shower drain, just make sure to remove the cover first. If that doesn't work, move on to chemical drain cleaner, like Liquid-Plumr Power Gel ($18, amazon.com) and follow the manufacturer's directions accordingly. And if you're still out of luck, Forte says it's time to enlist the pros. "After that, call a professional plumber and tell them what you used. That way, there won't be any surprises."